Background Removal services is a method of remove an image’s background or backdrop by using a photo manipulation technique without losing the grade of the original photo. Removing background of a picture broaden the variations to add to a simple photograph. so it can get an amazing look. An appropriate editing is required to remove the background from the objects and it is a substantive capacious task to keep up the higher quality of image and remove the background in a exact path. We have a dedicated team of expert who have gained expertise in this field. Our skilled professionals can transparent background of an image that the customer can use their comfortable backdrop or removing the background. They can also add some effect with the photos so that looks great & charming. 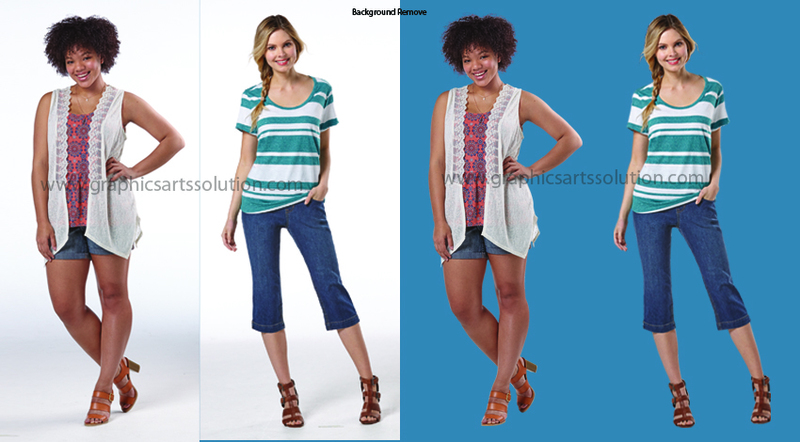 Image Background Removal services are very essential for the professionals. This creative service mostly used by the image editing agency, e-Commerce websites, real estate companies, pre-press and printing companies magazine or catalog companies and others. Mentioned industries need their images to be entirely edited by removing, replacing or changing background to increase the sales volume. It is necessary to maintain extensive quality & remove background in a right way. We are here, to aside undesired part of your image and to create proper detachment adjoining several tools. Our skilled team will remove the backgrounds from these images using latest version of Adobe suite. We use pen tool, channel mask, background eraser, color path or multiple clipping paths to remove the background of an image.